It's one of my favorite line readings in any film I've ever seen, the beyond reverent words F. Murray Abraham's Solieri used to describe the opening notes to the first composition he saw Mozart conduct in Milos Forman's Amadeus. It is also a perfect title for this mix, the first pure ambient mix Nancy and I have put together in all our years of doing these collections. We 've usually included an ambient track or two in past efforts, but 2017 saw several of the enduring (if not mainstream-popular) genre's most legendary names step forward with significant new releases. Coupled with strong efforts from by some relative newcomers, the time felt right to give ambient music a full mix of its own. I'm sure most of you have a clear understanding of the genre, but on the off chance there's a few who don't... Ambient music is intended to be exactly what it's called, ambience; background music to set a mood, gently inhabit the spaces in which you live, and free the mind for wandering, rather than a foregrounded, seize-your-attention listen. As such, these pieces here veer into highly abstract, minimalist, quasi-new-age territory, but most of them are also quite beautiful, and several pack a serious emotional punch. 1. andata - Ryuichi Sakamoto: One the most multi-talented electronic musicians and composers to ever come out of Japan (or anywhere for that matter), the now 66-year-old Sakamoto's resume is insane. After his beginnings as a key member of Japan's pioneering late-70s house act Yellow Magic Orchestra, Sakamoto got his hands dirty in just about every electronic genre in the decades that followed, collaborating with many of the top names in the electronic, ambient, and experimental fields, and writing music for the opening ceremonies of the 1992 Barcelona games. He also developed into a world-class film composer, winning the Oscar in 1987 for The Last Emperor and gaining a second nomination just a few years ago for 2015's The Revenant. 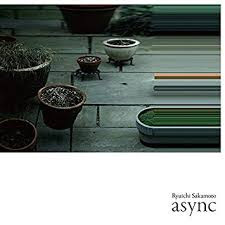 Following a year-long hiatus to battle cancer, Sakamoto returned with his first album in four years, async, a long, minimalist/ambient work very much in the vein of one of his peers and frequent collaborators, Austrian experimental composer Christian Fennesz. 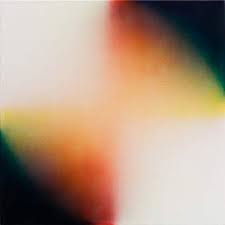 Andata, my favorite track from async, is a gentle-on-the-ears opener that eases one into the album before it turns much more challenging in the tracks that follow. 2. 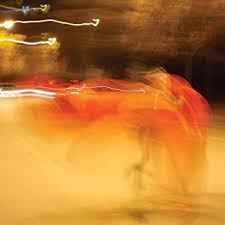 Norderney - Vermont: Vermont is the ambient side-project of German house producer / Motor City Drum Ensemble member Danilo Plessow and fellow German production ace Marcus Worgull. Norderney comes from their logically titled second release II. 3. 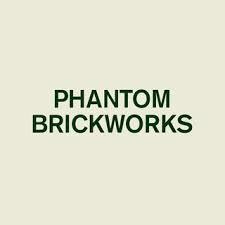 PHANTOM BRICKWORKS II - Bibio: This very long, gorgeous piano-anchored background composition comes to us courtesy of veteran electronic/experimental composer Stephen Wilkinson, aka Bibio, who hails from England, and his 2017 full-length release Phantom Brickworks. 4. 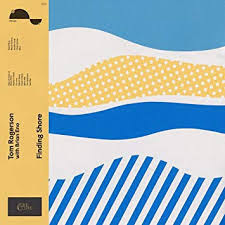 Motion In Field - Tom Rogerson & Brian Eno: There's something so cool about how the songs on Finding Shore, Brian Eno's collaboration was British improvisatory pianist Tom Rogerson, were created. Almost all the playing on the album is done by Rogerson, but while recording, Eno set upon Rogerson's piano a Moog Piano Bar, a complex electronic instrument which shines an infra-red beam of light on each of the piano's 88 keys, and then each time a key is struck, that specific beam is broken, triggering all manner of programmable electronic effects. Needless to say, Eno focused his attention on the Piano Bar programming. 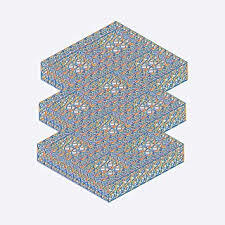 The resulting album is both beautiful and loaded with surprising experimental touches. 5. For David Robert Jones - William Basinski: Probably the most praised ambient composition of 2017, this lengthy tribute to David Bowie from legendary Houston-born, New York-based avant-garde composer Basinski's 2017 release A Shadow Of Time was built solely on the mix-board manipulations of two cycling tape loops that a cat was allowed to chew on before recording started. For me, it creates a haunting sense of the saxophones from Bowie's Berlin-era albums slowly fading into the ether. 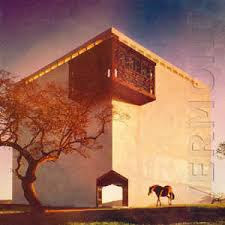 Not something you'll throw on frequently, but an amazing piece of conceptual music. 6. Starwood Choker - Bing & Ruth: This is the opening track from No Home Of The Mind, the third album this decade from the stellar Brooklyn-based ambient quintet Bing & Ruth, who try to emphasize grace and (as will be immediately apparent given the percussive nature of the David Moore's piano) texture in their compositions. Very pretty, evocative, Windham Hill-ish vibes from these guys, just with a bit more edge. 7. Valve (Revisited) - Visible Cloaks: One of the more interesting ambient works this year, Portland duo Visible Cloak's Reassemblage was thematically anchored around the same "representation without representing" concepts that informed filmmaker Trinh T. Min-ha's 1982 experimental documentary of the same name. Here, the acoustic signatures of various instruments from around the world were converted to digital replications, and then it was those digital replications that were used to construct the album's songs, like this bonus track collaboration with Diplo included here. 8. 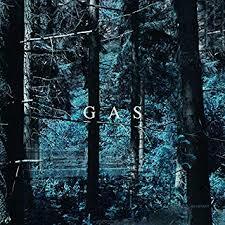 Narkopop 10 - GAS: We end with a selection from German electronic musician Wolfgang Voight's Narkopop, his first release under his GAS moniker (he has something like thirty other names he also records under) in seventeen years. Like all of his earlier work under the GAS alias, his take on ambient music includes a solid rhythmic foundation anchored to traditional four-on-the-floor House beats.